The only existing sixth- and seventh-century Chinese lacquer Buddha sculptures have come together for the first time in an exhibition at the Smithsonian’s Arthur M. Sackler Gallery. “Secrets of the Lacquer Buddha” is on view Dec. 9–June 10, 2018. Modern technology and scientific analysis have revealed how these extremely rare life-sized Chinese Buddha sculptures were created and what they are made of. 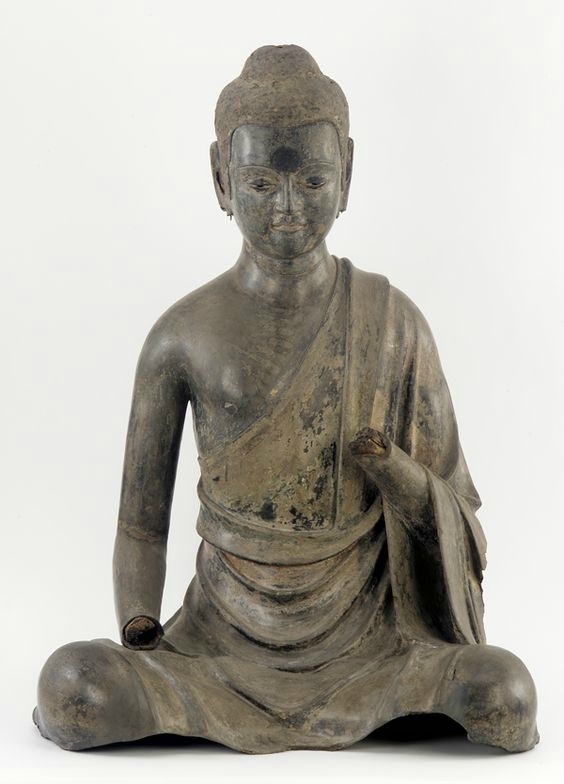 These new insights offer a deeper historical understanding of the three Buddha sculptures: one from the Freer Gallery of Art, one from the Walters Art Museum in Baltimore and one from the Metropolitan Museum of Art in New York City. The exhibition explores the methods and ancient process of making sculptures in lacquer, a resin from native trees of northeast Asia. Highlighting the impact science has on understanding art, “Secrets of the Lacquer Buddha” identifies the materials used in the creation of these centuries-old sculptures. The complex and time-consuming process began with a core made of wood or clay covered with cloth strips wet with lacquer and thickened with materials such as oils, blood and burnt bone. The layers of strips and lacquer created a three-dimensional surface. Each layer of lacquer was dried through a complex process requiring it to set before the next coating was applied. The sculpture was painted bright colors to give a lifelike appearance, and lastly gold leaf was added to resemble glowing skin. These details and other hidden features were revealed through sophisticated conservation techniques. 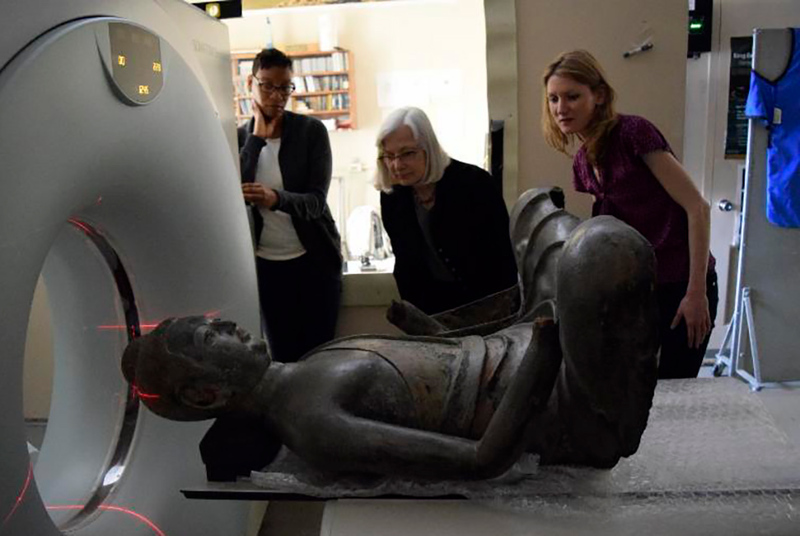 The Freer|Sackler’s Department of Conservation and Scientific Research used specialized equipment and new methods to analyze the sculptures, exposing microscopic details. X-radiography and computerized tomography scans explored details hidden to the human eye. X-ray fluorescence analysis analyzed the eyes, and the scanning electron microscope was used to study bone particles mixed into the lacquer. Newly developed methods were used to study unusual organic materials in the lacquer layers. With each method, insights were gained that open up a new understanding of the lacquer process used in sixth- and seventh-century China. This technology allows visitors to peer into the science behind the art of ancient lacquer.